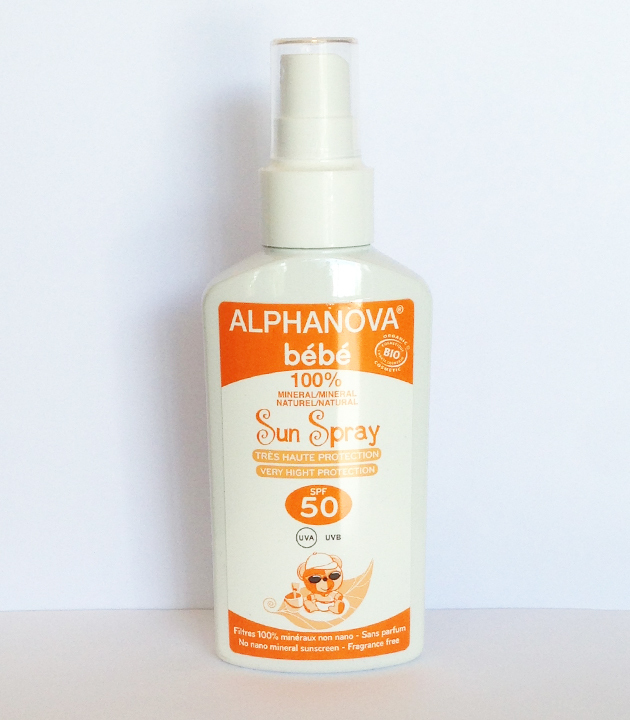 Spray solaire SPF 50+ : Formule 100% naturelle - Ecran Titane No-nano. Les memes que pour le lait solaire Alphanova. Dicaprylyl Carbonate, Caprylic/Capric Triglyceride, Aloe Barbadensis Leaf Extract*, Titanium Dioxide, Glycerin,CoconutAlkanes,SimmondsiaChinensisSeedOil*, Polyglyceryl-3Diisostearate,Polyglyceryl-2 Dipolyhydroxystearate, Aqua, Polyhydroxystearic Acid, Calophyllum Inophyllum Seed Oil*, Magnesium Sulfate, Sodium Chloride, Stearic Acid, Aluminum Hydroxide, Sodium Levulinate, Coco-Caprylate/Caprate, Glyceryl Caprylate, Alumina, Sodium Anisate, Acid citric .